Grand Ole Opry veteran Jack Greene, best known for singing the country classic "There Goes My Everything," died on Thursday (March 14) due to compilations stemming from Alzheimer's disease. He was 83. Born in Maryville, TN, Greene was a multi-instrumentalist whose career dated back to the 1960s. In 1966, he scored a hit with "Ever Since My Baby Went Away" and his There Goes My Everything album was a smash success. The title track, originally penned by Dallas Frazier, became his signature tune and was eventually covered by the likes of Elvis Presley, Engelbert Humperdinck and Anne Murray. Subsequent hits included "All the Time," "You Are My Treasure," "Until My Dreams Come True," "Statue of a Fool" and the Jeannie Seely duet "Wish I Didn't Have to Miss You." Greene became a member of the Grand Ole Opry in 1967 and released a string of albums and singles in the '60s and '70s before his chart presence dwindled in the '80s. According to his online store, his most recent release was the 2010 duets album Precious Memories, Treasured Friends, which featured contributions from George Jones, Merle Haggard, Charley Pride and Vince Gill. The singer died in his sleep at home in Nashville. 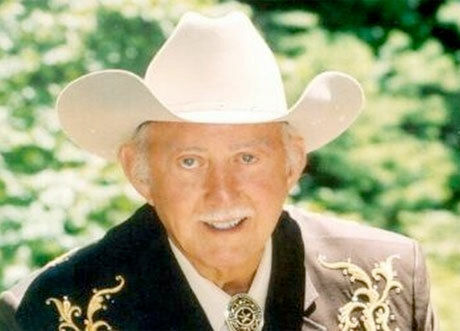 In a statement, the Grand Ole Opry revealed that funeral arrangements have not yet been confirmed.